Spent the weekend visiting Liverpool. 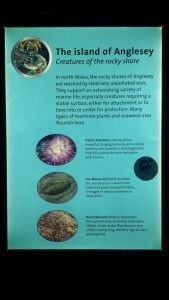 Found a special section on the unique marine life found on Anglesey. 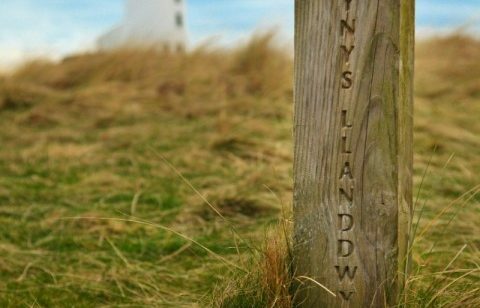 January 25th is Dydd Santes Dwynwen. (St Dwynwen’s Day). 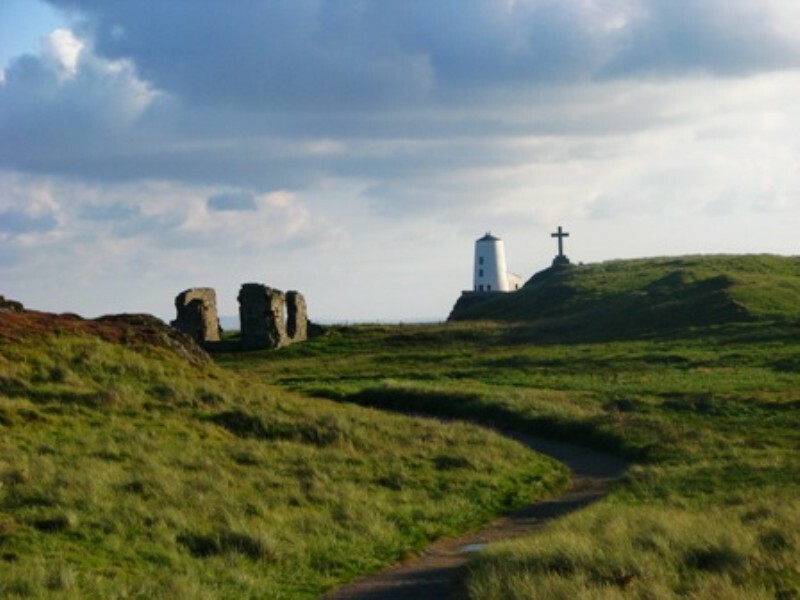 Santes Dwynwen is the equivalent to Valentine’s Day, the Welsh saint of love. This is the tale of Dwynwen. Dwynwen fell in love with a guy called Maelon. He was in love with her too, but for some reason they couldn’t be together! There are various versions stating why they couldn’t be together. One version suggests that her father was against the marriage, and that he had already promised her to somebody else. Poor Dwynwen was in a bit of a state, and ran to the woods in distress. She prayed that God would erase her feelings for Maelon. In the wood an angel appeared carrying a potion to try to erase all memory of Maelon and turn him into a block of ice. God gave Dwynwen three wishes. Her first wish was for Maelon to be thawed, the second was that God would help all lovers meet their dreams, and the third was that Dwynwen herself would never marry. 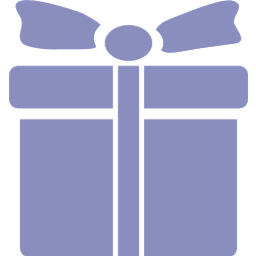 Her wishes were fulfilled, and from that point she devoted herself to God’s service and became a nun. 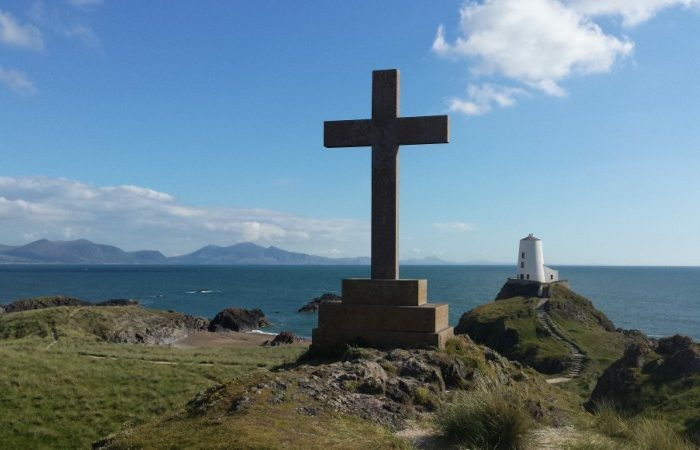 She left for the Isle of Anglesey and built a church on an island (Llanddwyn) “church of Dwynwen”. The church ruins can be seen there today as well as the well, where it is told a sacred fish swims. According to legend the movement of the fish can depict if relationships will succeed or not. 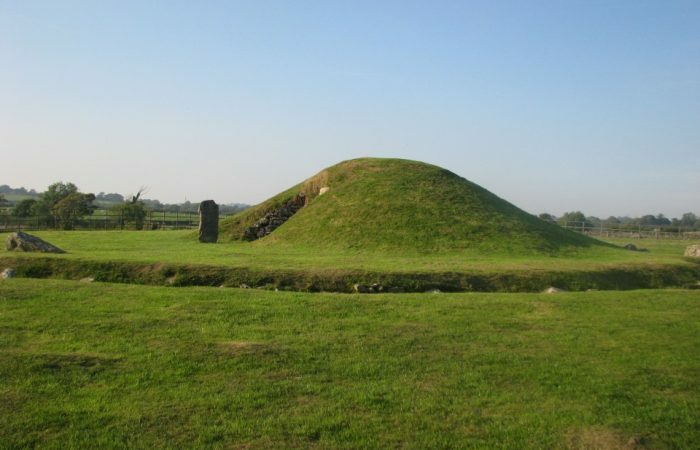 The well is a place of pilgrimage for young Welsh lovers since Dwynwen’s death in the 5th century. 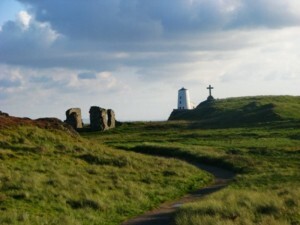 The Welsh celebrate Santes Dwynwen’s day by sending cards , flowers and gifts to our loved ones. 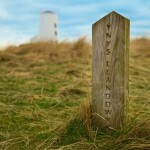 If you believe the story or not, Ynys Llanddwyn Island is a magical island with its lighthouse, church ruins and well, has lovely views towards the Snowdonia mountains and the Llyn Peninsula, full of wildlife and fauna, private sandy beaches which attract thousand of tourists throughout the year. 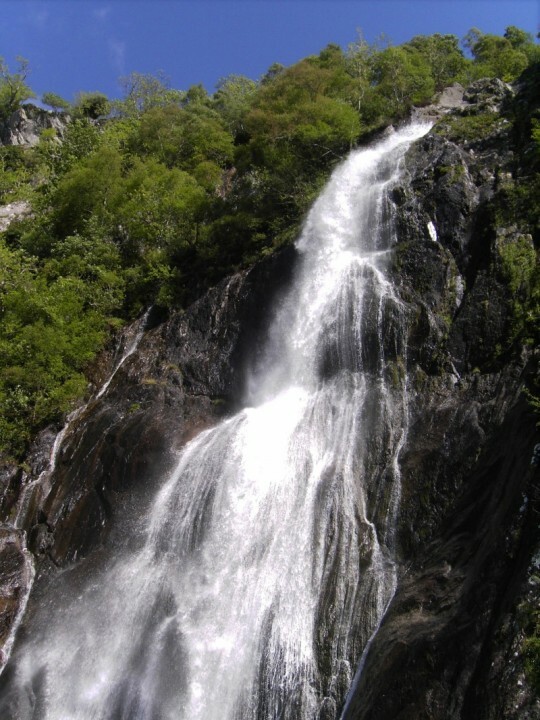 And it’s on one of our walks from Malltraeth to Llyn Rhos Ddu. Just had our first 2015 Cruise Excursion booking from Holyhead port. First of many I hope. Derek the Weather on Anglesey with Bedwyr Rees on the east coast of Anglesey. Stunning part of the island full of history re ship wrecks and historical sites. 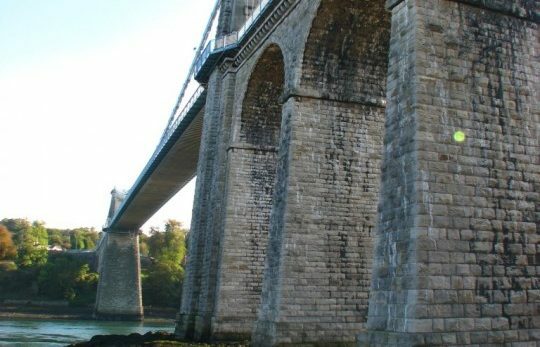 The future of an Anglesey landmark and tourist attraction closed nine months ago remains uncertain. 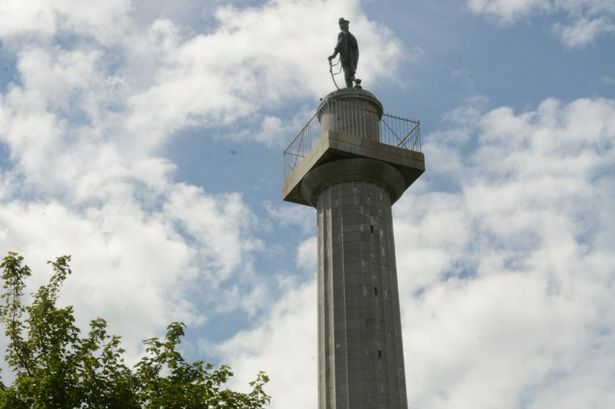 The Marquess of Anglesey’s Column in Llanfairpwll was closed in March 2014 for “essential repairs”, but no date has yet been set for its reopening. The monument was previously open to members of the public, who could climbto the top for a small fee. 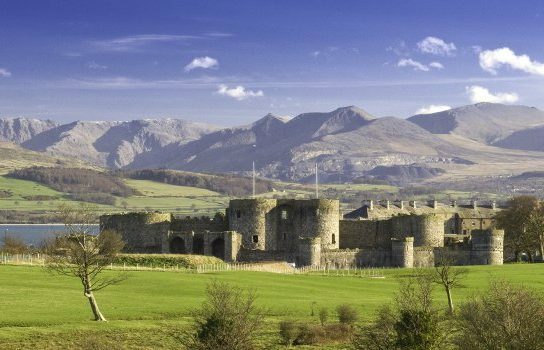 Over the years, many of our walkers have climbed the 115 steps to see fantastic views of Anglesey and Snowdonia. Today was an amazing day with clear blue skies, calm seas on the Menai Straits and snow covered mountains of Snowdonia. Anglesey is the best place to be on days like this. Hope you all had a Merry Xmas with family and friends. Now is the time to get out there for the exercise. 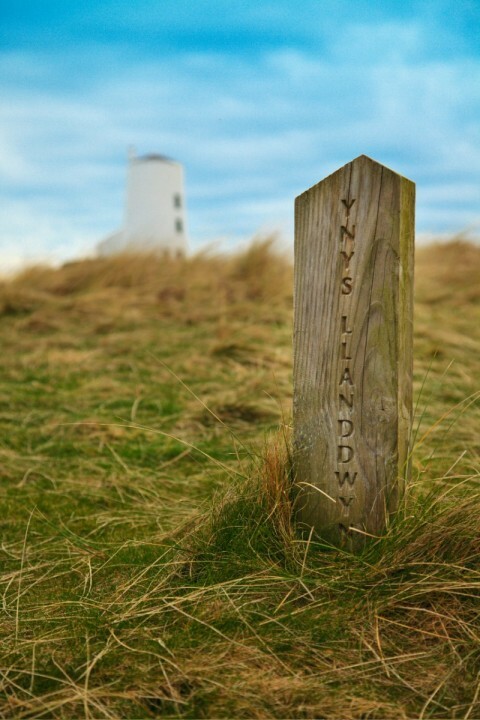 A new report shows that walking on the Wales Coast Path can actually help people live longer. Anglesey of course is part of the Wales Coast Path, a 128 mile circular and stunning part of the Wales Coast Path. 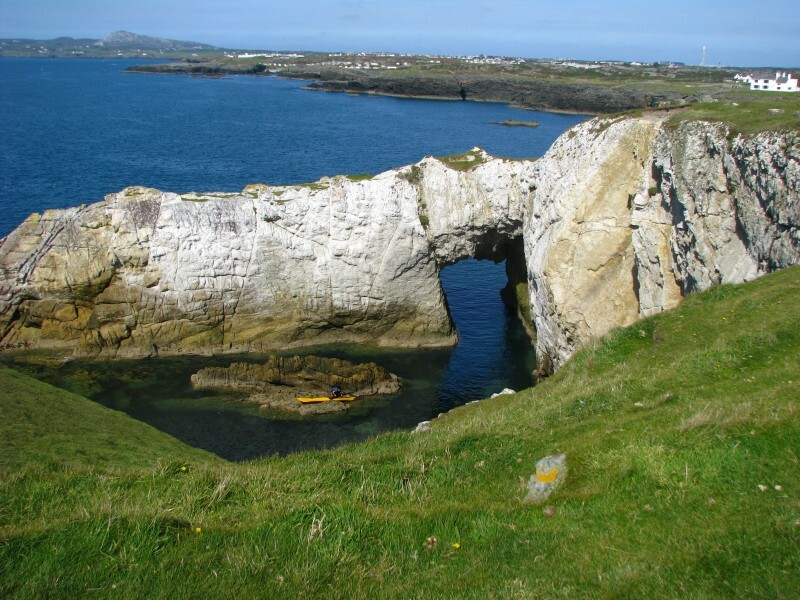 Why not make a new resolution for 2015 to put on your walking boots and come to Anglesey for a walking holiday with the local experts. You won’t be disappointed. Tonight’s stop is Tintern reccing hotels on Offa’s Dyke Path South section. Follow Offa’s Dyke National Trail from North to South or South to North. If you prefer, to split it into sections – North and South sections, anything is possible. There snow on them hills! 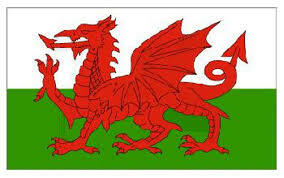 What a lovely day here on Anglesey. 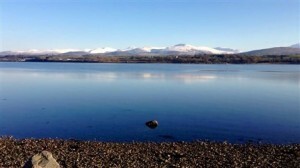 Lovely sunshine with snow capped Snowdonia as a backdrop.